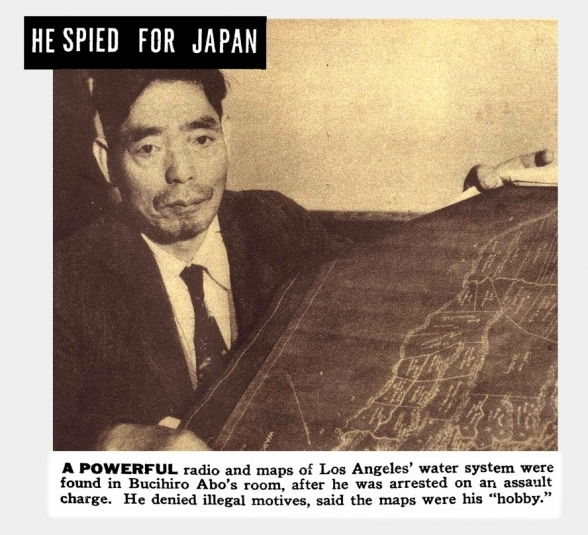 Although this 1939 article from KEN MAGAZINE reported on the actualities of Japanese spies operating around the Northern Mexico/Southern California region (activity that was well-documented by the Mexican military as well as the F.B.I. ), it was, sadly, one of the articles that fed the racial fear that lead to the creation of the Japanese-American internment camps. You might also like to read about the Japanese-Americans in the OSS. The image that appears above was first seen on page 14 of the CLICK MAGAZINE issue for March, 1939.